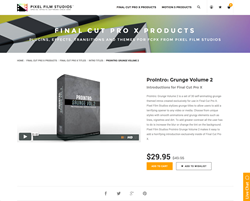 "With a set of 30 self-animating grunge styled intros, ProIntro Grunge Volume 2 makes it easy to add horrifying introductions to any of your footage placed inside of FCPX," said Christina Austin - CEO of Pixel Film Studios. 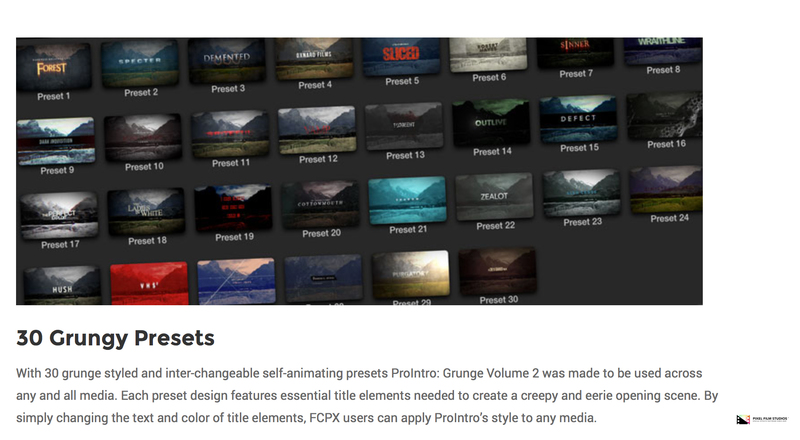 With 30 grunge styled and inter-changeable self-animating presets ProIntro Grunge Volume 2 was made to be used across any and all media. Each preset design features essential title elements needed to create a creepy and eerie opening scene. 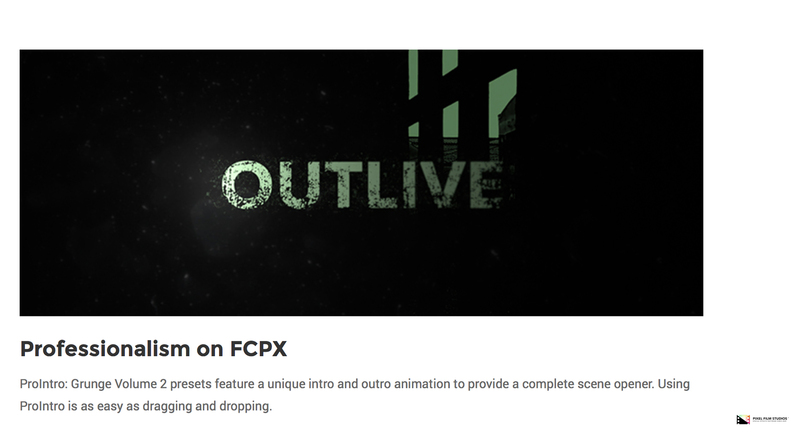 By simply changing the text and color of title elements, Final Cut Pro X users can apply ProIntro’s style to any media. This plugin provides intuitive controls that allow users the ability to adjust and manipulate the essential elements of each unique preset. Users can then determine the scale, opacity and width of title elements with a simple click of the mouse. 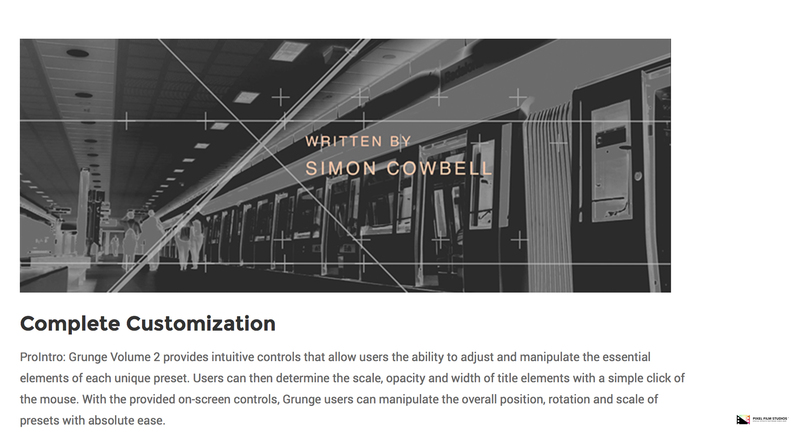 With the provided on-screen controls, Grunge users can manipulate the overall position, rotation and scale of presets with absolute ease. ProIntro Grunge Volume 2 presets feature a unique intro and outro animation to provide a complete scene opener. Using ProIntro is as easy as dragging and dropping.